Looking for a delicious, easy side dish? This is it! This is a family favorite. I love the lemon garlic flavor with the Broccolette! 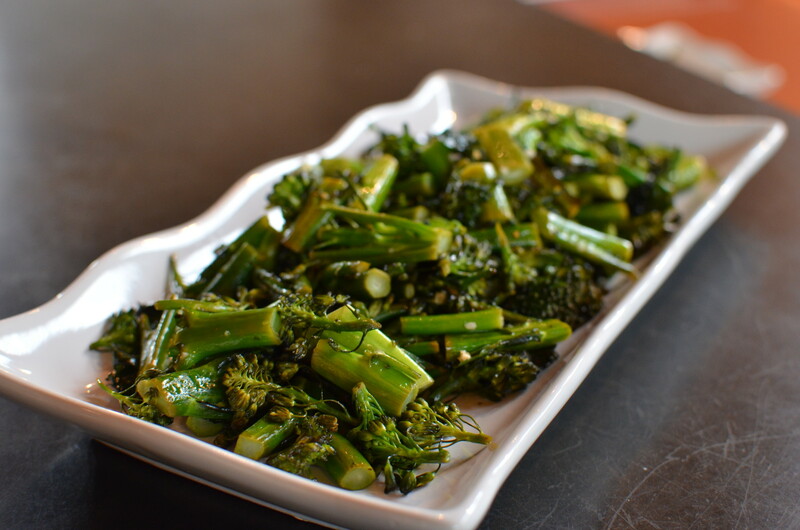 You can use broccolini as well, both have the thin stalks. Give it a try, you will be hooked! This is my favorite way to cook broccoli! Well, these are Broccolette (you can also use Broccolini, they may even be the same thing) and it's crunchy, garlicky, salty, tangy, and savory! My little sister loves this too. Enjoy! Trim tough ends of the broccolette, and chop into about 1.5-2 inch lengths. Toss with olive oil, crushed garlic, and juice of 1 lemon. Scrape onto a jelly-roll pan and roast 10-12 minutes.